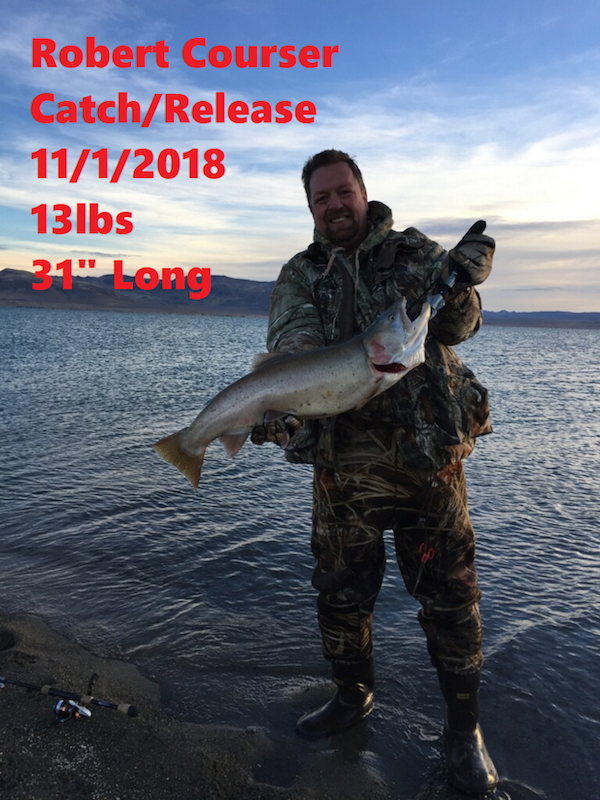 Congratulations Matt Smeltzer on the new November leader for Cutthroat trout out of Pyramid Lake. 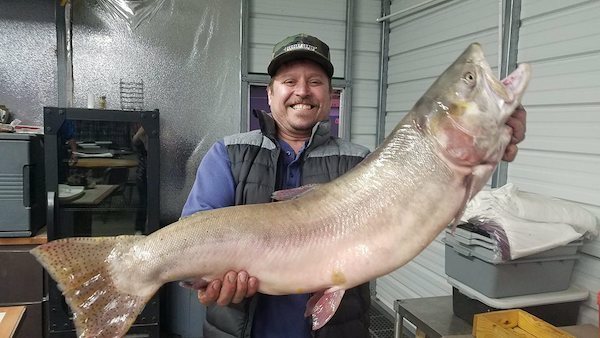 This beast weighed in at 23.15 pounds and measured 36" in length. 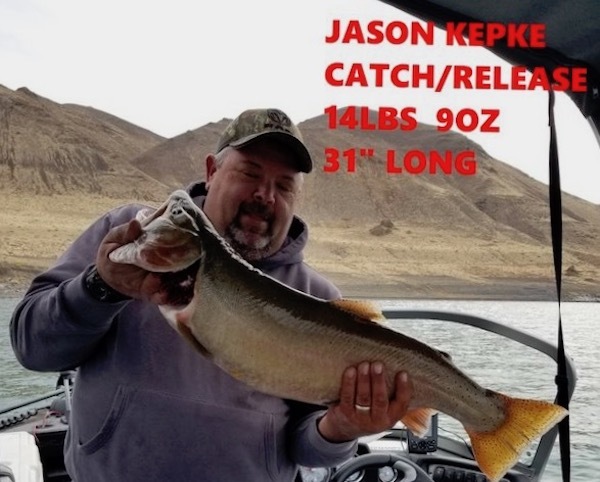 The staff from Crosby Lodge checked in with an update from Pyramid Lake in Sutcliffe, NV. We have a new leader for November. Congratulations to Matt Smeltzer for this beautiful 23 pound 2.4 ounce Cutthroat. This beast measured 36 inches in length. He caught it out at Hell’s kitchen on 11/3/18.